A rose has bloomed in the desert. This wonderful mexican restaurant's menu is built on the freshest items available, featuring all homemade sauces. It's comfortable dining room has inside seating for 80, and covered patio seating for 16. 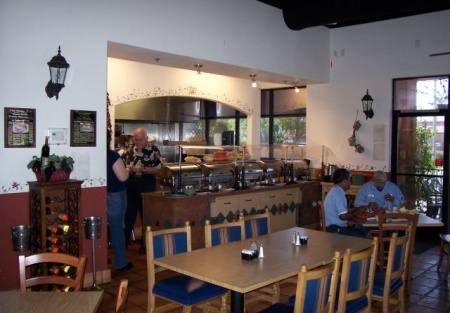 This restaurant is located in the end cap of a well maintained shopping center right off the I-10 freeway and features 2,584 square feet, with a beautiful, high efficient kitchen. There is plenty of parking. The base rent is $4,264. Owner is selling due to loss in family.This is a Business Intermediaries, Inc. listing.